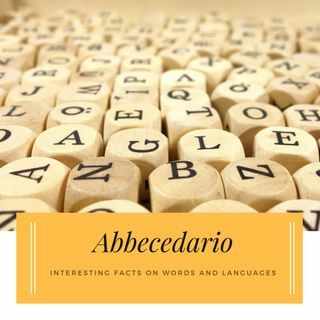 Abbecedario comes from Abc and is a book used by school kids in the past. In general, it means alphabet, a list of letters or words as an approach to any language. I want to build together a virtual Abbecedario: during each episode we will focus on a word, a concept. This will be for us the starting point to explore together the Italian language and especially Italian literature. Today, discover with me 6 curiosities about words and languages. Buon ascolto!